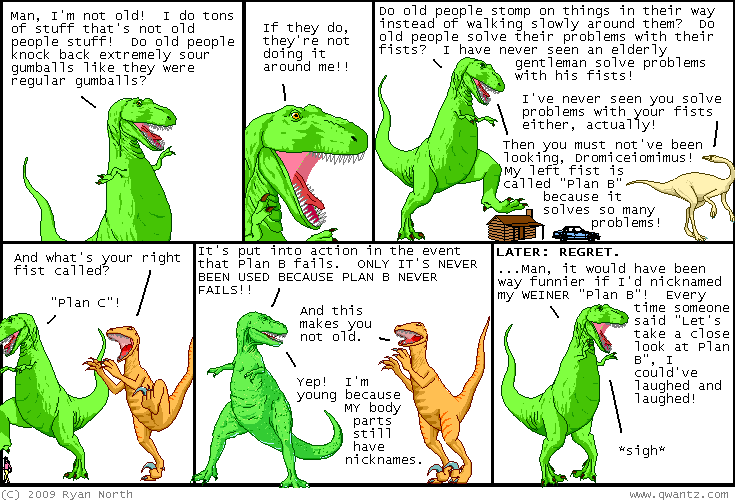 Dinosaur Comics - March 19th, 2009 - awesome fun times! March 19th, 2009: Webcomics Weekend is this, um, weekend! Look at everyone who'll be there! And then some! It is going to be good times. Unfortunately registration is closed and it's at capacity with 700 guests coming, so if you haven't registered it is unfortunately too late. If you're there, you can recognize me as the handsome one who can't even shave his face without cutting it up why do I always rush that.